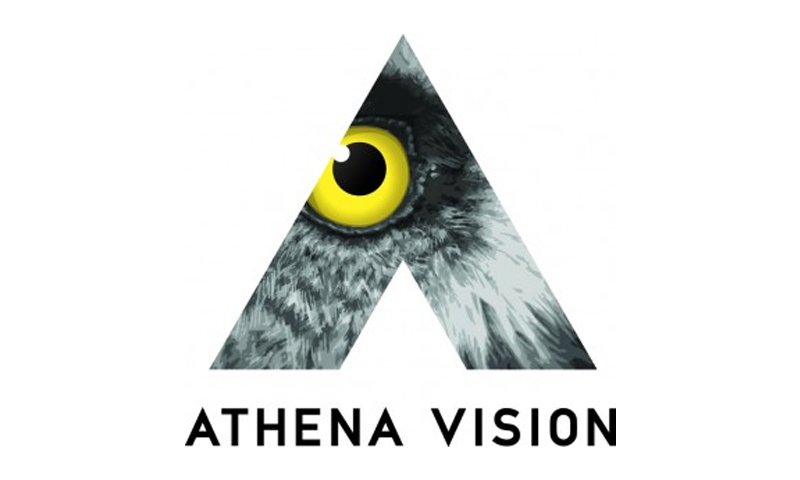 UCL Business PLC, the wholly-owned technology transfer company of UCL, today announced the formation of Athena Vision Limited, a biopharmaceutical company focused on the development of gene therapies to treat a range of devastating eye diseases causing blindness. Athena has entered into a global partnership with MeiraGTx Limited to develop and commercialise Athena’s ocular gene therapy programmes arising from research conducted by Professor Robin Ali, Head of the Department of Genetics at the UCL Institute of Ophthalmology and a leader in the field of cell and gene therapy for the eye. MeiraGTx, which is developing gene therapies for ocular diseases, neurodegenerative disorders and other diseases, will advance Athena’s pipeline of gene therapies through clinical trials to commercialisation. The partnership will pursue four initial clinical programmes in inherited retinal conditions: Leber congenital amaurosis type 2 (LCA2) caused by deficiencies in RPE65, achromatopsia caused by mutations in CNGB3 or CNGA3 and X-linked retinitis pigmentosa caused by mutations in RPGR. A Phase I/II dose-escalation clinical trial in LCA2 is expected to start in 1Q 2016. Development costs for all four programmes are supported by an undisclosed upfront payment by MeiraGTx. Athena and MeiraGTx have unparalleled access to resources through their affiliation with the UCL Institute of Ophthalmology and its partner Moorfields Eye Hospital, which together form one of the world’s largest vision research centres, with access to a sizable and diverse patient population. The National Institute for Health Research (NIHR) Moorfields Biomedical Research Centre and Clinical Research Facility will support the translation of the partnership’s gene therapy programs from the laboratory to early-phase clinical testing. The establishment of Athena accelerates the development of promising new therapies for inherited retinal diseases, which have been supported by the Medical Research Council (MRC), from early-stage research through clinical development via the MRC’s Developmental Pathway Funding Scheme (DPFS). “With MeiraGTx, we have the necessary technology and critical mass to deliver a pipeline of novel therapeutics to change patients’ lives,” said Professor Ali, UCL Institute of Ophthalmology and Principal Founder, Athena. “Athena’s leadership has expertise in developing advanced therapeutics from inception through clinical application. With MeiraGTx, we are building an integrated, global gene therapy business that brings together therapeutic and platform-based technologies along with extensive clinical, manufacturing and commercial experience,” said Stuart Naylor, CEO, Athena. “This new rapid translation of world-leading science into clinical application and large inward investment to the UK highlights the importance of continued governmental support for scientific research,” said Professor Sir Peng Tee Khaw, Director of the NIHR Biomedical Research Centre at Moorfields Eye Hospital NHS Foundation Trust and UCL Institute of Ophthalmology. “We are delighted with such substantial investment to advance novel gene-based therapies. With the formation of this partnership, UK biomedical science continues to demonstrate its importance in the world sphere and, with sustained external and government support, our biomedical research leaders have true potential to bring to fruition innovations in treatment to benefit patients globally,” said Professor Philip J Luthert, Director, UCL Institute of Ophthalmology. “The formation of Athena and the significant partnership with MeiraGTx provides a clear route for the translation and commercialisation of the world-class research strengths of Professor Robin Ali and his team at the UCL Institute of Ophthalmology. We look forward to supporting Athena as it commences its important work to deliver novel treatments to benefit patients with vision loss across the world,” said Cengiz Tarhan, Managing Director of UCLB. Athena is a biopharmaceutical company developing novel gene-based therapies for retinal disorders that lead to vision loss. Athena has exclusive licenses to intellectual property relating to several near-to-clinic gene-based therapies and also holds an exclusive option to license further gene therapy programmes in a wide range of ocular disorders. Athena is founded on the same expertise and leadership in translational and clinical research responsible for the world’s first gene therapy clinical trial in inherited retinal disease. As a UK-incorporated spinout company from UCL’s Institute of Ophthalmology, Athena is affiliated with one of the world’s highest-ranking universities, which along with partner Moorfields Eye Hospital, form one of the world’s largest ophthalmic research sites. MeiraGTx Limited is developing gene therapy products for a range of inherited and acquired disorders for which there are no effective treatments available. MeiraGTx is focused on developing therapies for ocular diseases, including rare inherited blindness as well as xerostomia caused by radiation treatment for head and neck cancer and neurodegenerative diseases such as amyotrophic lateral sclerosis (ALS). In addition, MeiraGTx has developed technology to regulate transgenes in vivo, which has the potential to transform the use of gene therapy and the delivery of biologic therapeutics. UCL Institute of Ophthalmology is one of the foremost eye and vision research institutes in the world. It operates at the cutting edge of translational research, delivering new therapies, diagnostic tools and preventive measures to patients suffering from visual impairment or blinding conditions. The combination of the Institute’s research resource with Moorfields Eye Hospital, which has the largest ophthalmic patient population in the western world, opens the way for further advances in vision research. Close collaboration with other academic partners and with industry extends its impact. The Institute is a recipient of a Queen’s Anniversary Prize for Higher and Further Education, in recognition of outstanding research excellence. The NIHR Moorfields Biomedical Research Centre was established in April 2007 and awarded a second five-year term by the NIHR from April 2012. Its purpose is to conduct translational research that is designed to take advances in basic medical research from the laboratory to the clinic, enabling patients to benefit more quickly from new scientific breakthroughs. The Centre is currently one of 11 Biomedical Research Centres that were awarded in 2012 to NHS/university partnerships with an outstanding international reputation for medical research and expertise, and experience of translating that research into the clinical setting. Founded in 1826, UCL was the first English university established after Oxford and Cambridge, the first to admit students regardless of race, class, religion or gender, and the first to provide systematic teaching of law, architecture and medicine. We are among the world’s top universities, as reflected by performance in a range of international rankings and tables. UCL currently has almost 29,000 students from 150 countries and in the region of 10,000 employees. For further information or to arrange an interview contact Margaret-Anne Orgill, Media Relations Manager, UCL Enterprise; M: +44(0)77572 602345, E: m.orgill@ucl.ac.uk.